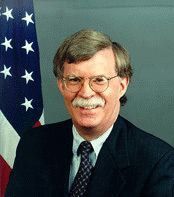 As recently reported on NPR, Beard Team USA has offered soon-to-be former UN Ambassador John Bolton a position on the team's moustache squad. While John's moustache is not yet world championship caliber, John still has ample time before the next worlds to cultivate a winning 'stache. (Also known as a 'tache or a mo'.) Importantly, as NPR also reported, Senate confirmation is not necessary for membership on BTUSA. In fact membership is open to everyone. Actually BTUSA is actively recruiting moustache growers for the Brighton championships. Of the recently announced official categories for Brighton, nine of the seventeen are types of moustaches. BTUSA currently lacks depth in the moustache categories. Ordinary moustaches won't do. While most American moustache wearers prefer to trim their upper lip hairs to stay out of their mouths, most of the categories are for moustaches grown wild and then tamed through the use of artificial aids such as waxes, gels, and sprays. See www.worldbeardchampionships.com/Categories/categories.htm. BTUSA is encouraging John Bolton and other patriotic Americans to stop trimming those mo's NOW in training for Brighton. I am starting my path down the Mo' now. I just cut off my Donegal (chin curtain) after having it for about 6 months in order to concentrate on my 'Stache. Not sure if I'm going to go Musketeer or Natural or Hungarian yet. Any suggestions? Put a picture up to give us something to go on. This post got me thinking about having prominent people or celebrities on the team. Comedian Zach Galafianakis has a great beard and shaves it down to a decent 'stache for the show Dog Bites Man. Maybe you could extend an invite to him? If we had some shirts or something and could convince someone prominent to wear one it could definitely bring some awareness to the cause of pogonotry. I have long dreamed of entering the World Beard and Moustache Championships, but I don't know if my moustache is up to snuff yet. Unfortunately, it's gotten as good as it's going to get until I get a bit older, I suspect.